They’ve stopped trying to control their privacy through a myriad of tabs on Facebook and other apps. They know it is going to change in a few short weeks, and what they are saying could become public fodder. Instead, teens are starting to get hip to the concept of Social steganography. Social steganography is the digital equivalent of hiding in plain sight. Social Steganography is a tactic employed by teens to “hide” messages from their parents, and from audiences at large. For example, your daughter might post a picture of a half-eaten donut. 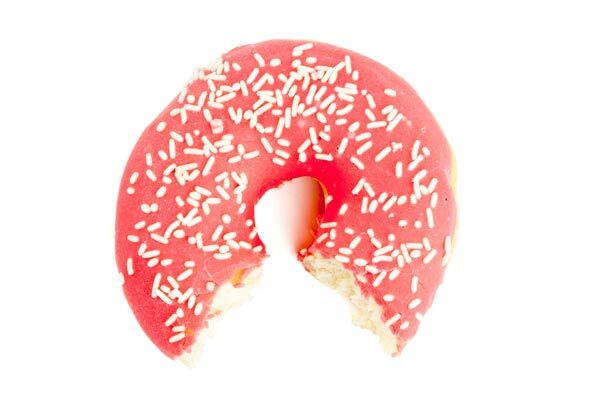 As a parent you might beam with pride that your budding photographer is sharing her work, or you might just think she has a real sweet tooth, but for those using social steganography a picture of a donut is not just a donut. It is a message, and only those in the “in crowd” understand what it means. Kids are employing more than just pictures to get their points across. Music lyrics are often used as cryptic ways to share their feelings with those around them, without clueing in parties that they don’t want to know. Why are Kids Using this Tactic? Teenagers are acutely aware of the fact that you, as their parent, hold great power over them. They also know that teachers, recruiters and college admissions boards are going to take a look at their social media feeds. Because dealing with privacy controls is hard work, and it does not promise absolutely privacy, teens have taken it a step further. They will share their words with the world and, as long as their words are cleverly cloaked into a secret message, their agenda is completely hidden. More often than not kids are using these tactics because they know you are “listening”. Perhaps you’ve announced you must be your child’s “friend” on Facebook in order for them to gain access to the site. Perhaps, they know you are perusing their Twitter feed the second they lay down their phone. Either way, they’ve moved to sneaker ways of securing their privacy, and social steganography is a leading trend. According to recent studies, 67% of older teens (age 15 and above) are using this form of hidden messages, and about 50% of younger teens are using it, too. Decoding social steganography can be difficult, because there is no actual “code”. Your child and their friends make up the code themselves. They are inside jokes, and cleverly disguised lyrics that point to a previous conversation. For example, maybe your son and his girlfriend had a huge argument at school about her perceived flirting with another student. Your son won’t come right out and say that on Facebook. Rather, he’ll use music lyrics pertaining to the situation. If you are not privy to the situation the quote might seem like a cryptic message, or simply some interesting lyrics. Check in on their digital actions to track patterns and translate suspected pictures or phrases through context clues. The way to decode the steganography is to read into it a bit. If your child is posting sappy lyrics, odds are, they are hurting from relationship issues. If they are posting aggressive photos, or quotes about moving on or revenge, odds are something isn’t right at school or with some of their friends. The best way to decode these messages is to ask your child about their day, and focus some of your time on parenting in real life, while keeping up with the digital age.